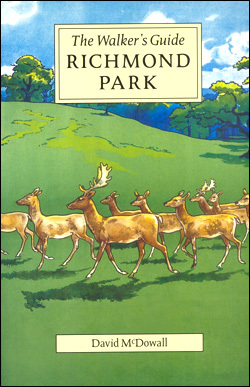 Far from merely outlining routes and providing directions, this guide constitutes one of the best-researched and richly detailed walking guides available for the park. Each walk section includes a route description and is accompanied by an explanatory text, providing an extraordinary amount of information on the park’s rich history of human activity. An introduction on the parks landscape and appendices on the park’s flora, the deer, it’s ponds and bird life are included. It also describes how the impact of present human activity and its implications for the park’s future. This wonderful guide contains many hand-drawn black and white illustrations, diagrams and maps to supplement the text.